Woollyhugs > Latest.. > Auction > Spring Auction 2019 > Spring Auction. Number 114. An absolutely stunning blanket from lovely Wendy P! 114. An absolutely stunning blanket from lovely Wendy P! Glorious. 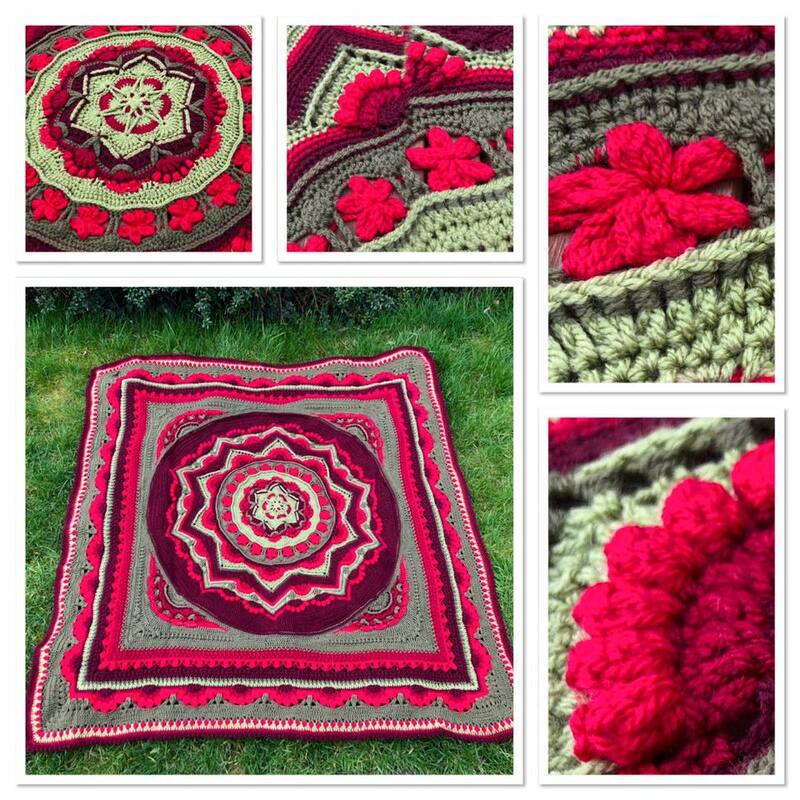 In SSDK greens and reds, this is beautifully crocheted and wonderfully textured and cosy. Perfect size. It is square! Approx 144cm by 144cm. Whoever wins this is LUCKY!! item name : Spring Auction. Number 114. An absolutely stunning blanket from lovely Wendy P!